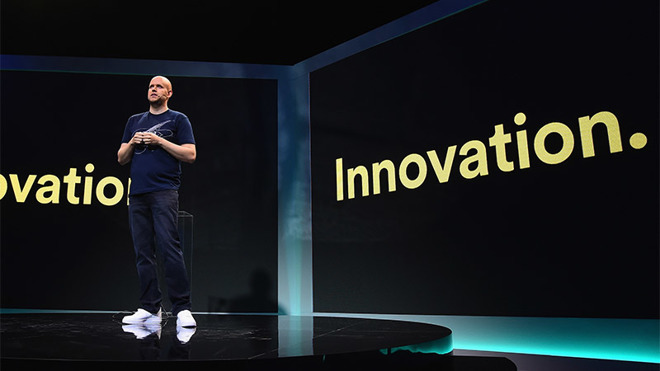 For the quarter, Spotify recorded year-over-year revenue growth of 26 percent, in line with its own estimates, but short of Wall Street predictions. The firm's stock price tanked in after-hours trading, down to as low as $153.50, or nearly 10 percent at the time of writing. In April, industry competitor Apple Music reached a milestone 40 million subscribers, up from 27 million recorded last June. While Spotify's subscriber base is nearly double that of Apple Music, Apple is gaining paying users at a rapid rate of 5 percent per month. As noted by The Wall Street Journal, Apple Music's trajectory will put the service ahead of Spotify in the U.S. sometime this summer. Whether domestic growth will translate into international gains remains to be seen, but users are showing continued interest in Apple's product with some 8 million potential customers currently signed up for a three-month trial. Apple executives touted Apple Music's growth during an earnings conference call for the second quarter of 2018, with CEO Tim Cook saying the product helped push services revenue to a new high of $9.1 billion. CFO Luca Maestri added the most recent March quarter saw Apple Music reach a new record for both revenue and paid subscribers.